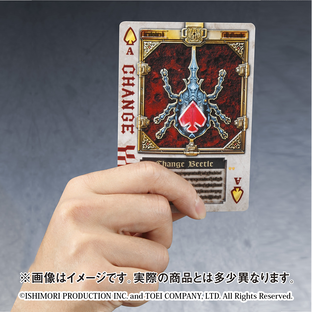 With the pursuit of silhouette beauty, Rouse Cards is now presented in "Archives Size" (112mm x 77mm), a slightly bigger than "Carddass" released in 2004. 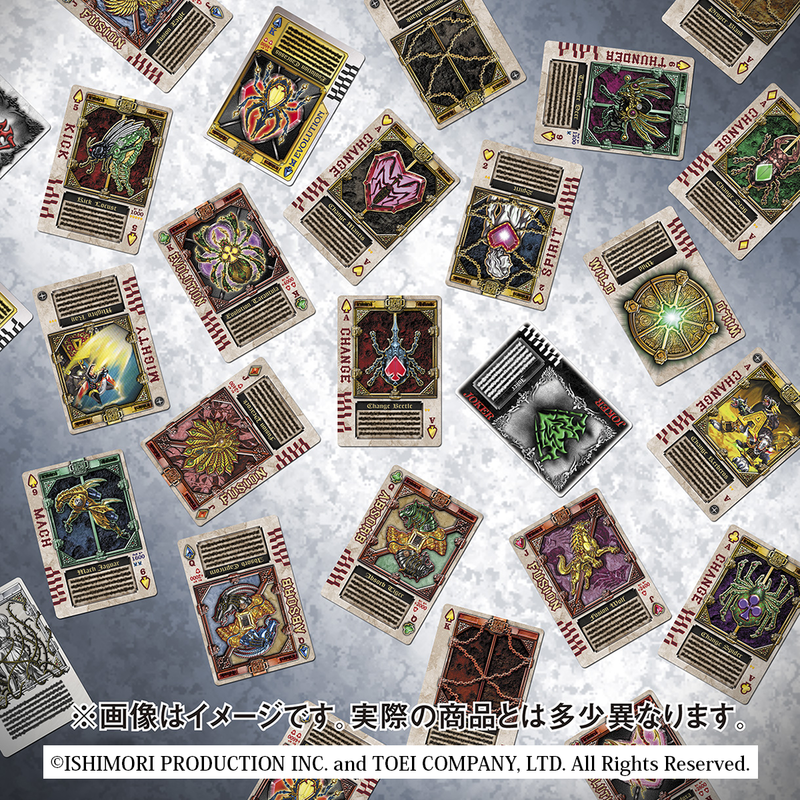 The 135 types presented in the drama will be all included in normal cards. Also, cards with strong power on setting will be included as Parallel verison with shining effect. 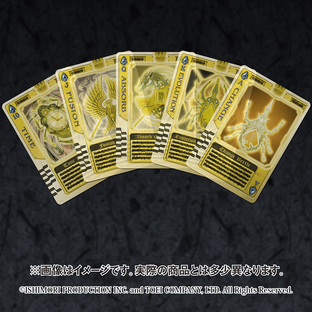 Category A/J/Q/K cards are using the "Green metal effect" that green light effect will shine by changing angles. 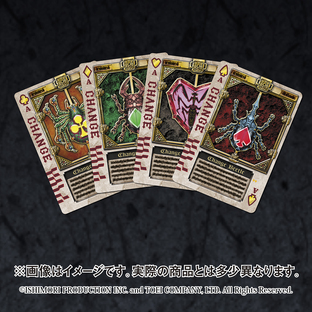 The Guild Rouse Card used in Blade King Form will be presented in metal style "Hairline effect" and the graphics will be presented in "Laser holographic coating". Clear cards based on the transformation effect "Orichalcum Element" in the drama and the deathblow "Royal Stright Flush" in Blade King Form will also be included. 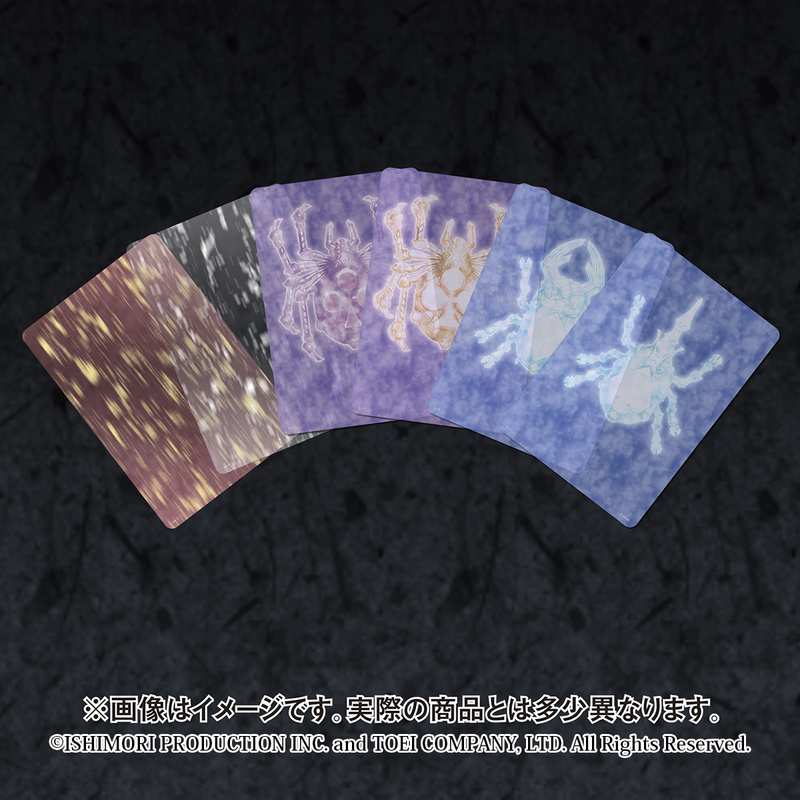 In addition, the moving effect cards with graphic moving effect include 4 Kamen Riders' "Category A" and the "Kick", "Thunder", "Mach" used in Blade's deathblow "Lightning Sonic". 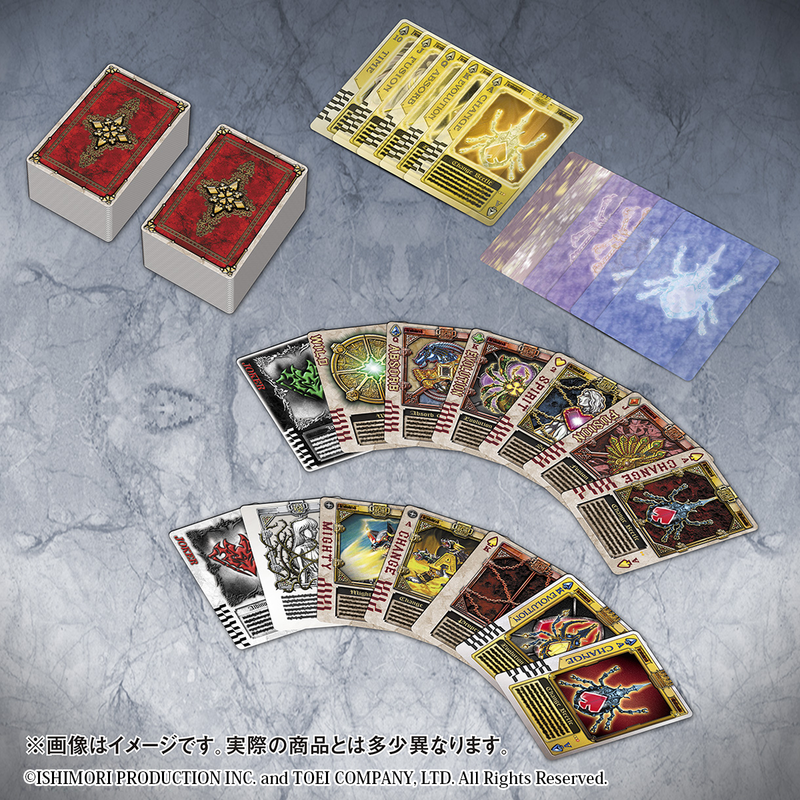 ※Cards are the same with those in "MASKED RIDER BLADE ROUSE CARD ARCHIVES 10th ANNIVERSARY EDITION"
※Cards are not compatible with the "COMPLETE SELECTION MODIFICATION SERIES", "DX ROUSER SERIES" or "BLAY BATTLER"
※Cards are not the same specification with the tools in dramas. 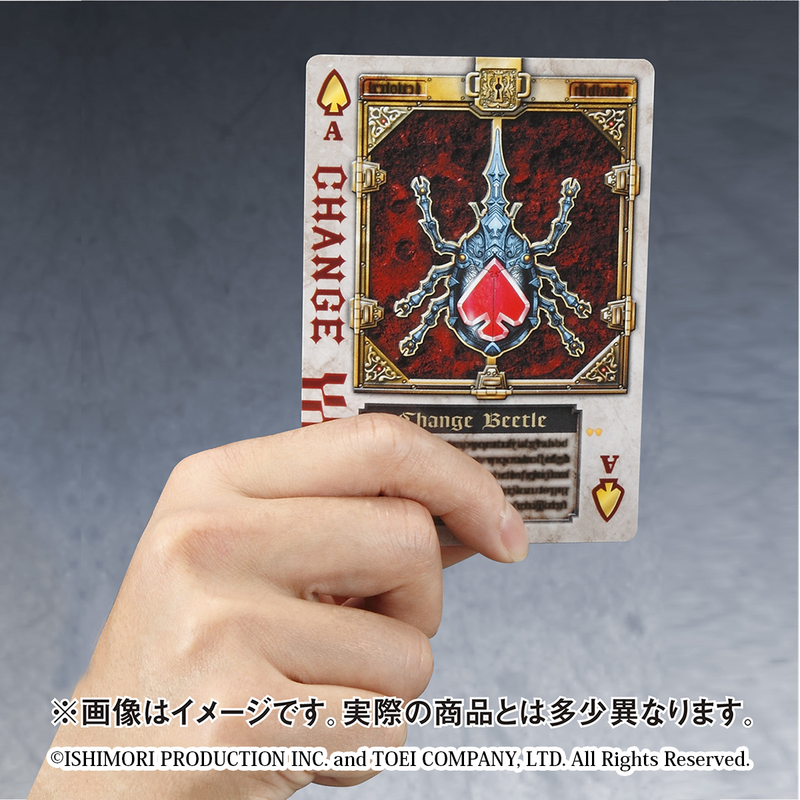 ※When the number produced has been reached, we will stop accepting applications for reservations. We may adjust the selling quantity and sell it again if we receive lots of customers' request.